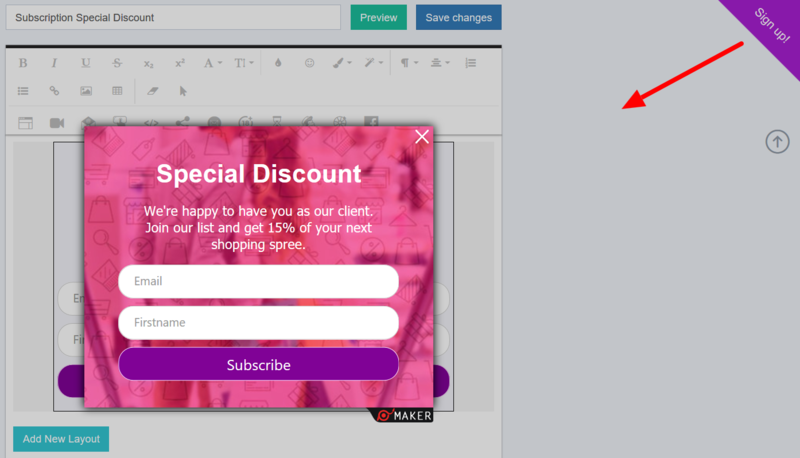 In the Floating button section of the Popup Maker editor, you can customize and add a floating button for your popup. When creating your popup, you can set it to be triggered via floating button on your website. You can choose the Style and the** Position** of the floating button. Style - Basic or Corner button styles are available (the example in the previous image is the Corner style floating button). 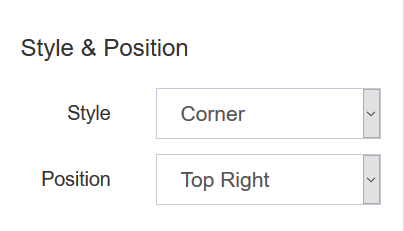 Position - Choose any position on the page for the floating button (the floating button example is set with Top Right position for the Corner style). Background - Choose the color of your floating button (in this example, we have matched it with the color of the button of our popup). 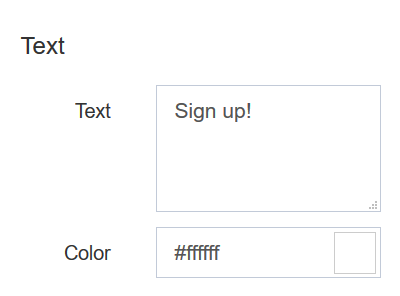 Text - Add any text you wish to see on the floating button and customize the color of the text to your needs. Note: There&apos;s no need to choose any opening event for your popup, if you set it to appear with a floating button. But if you set an additional event, like Onload, for example, the popup will appear both, Onload and upon click on the floating button.